Hey, What Happened to that Film? As independent film lovers, we owe a debt of gratitude to Gary King’s parents. Because of them, King was brought up with a great love of film at an early age. It wasn’t until later in life, however, that he realized that he also had a great love of making film. Fortunately, after studying psychology and then joining the corporate world in a human resources position, King realized that he had a serious need to be fulfilled creatively. So, he high-tailed it out of the corporate bowels of Silicon Valley and fled to New York City to pursue his dream … and he hasn’t looked back since. 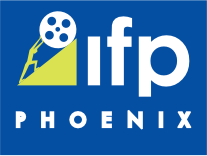 Two years ago, How Do You Write a Joe Schermann Song celebrated its World Premier at the Phoenix Film Festival, easily winning over the discerningly enthusiastic Phoenix audience – snagging both the Audience Award and the Dan Harkins Breakthrough Filmmaker Award. It was just the beginning of a rather lengthy string of accolades for the film … and for Gary. Independent film is not exactly overflowing with musicals, and are considered a bit daring … so why a musical? “Growing up, my parents showed me The Music Man, My Fair Lady and other classics, said King. King says that the main goal was to play as many festivals as possible, in order to gain as much exposure as possible. Regarding premiering at PFF, King said, “We were spoiled. We won two awards and had so many amazing fans supporting us while we were there – it was an experience we will never forget. Winning the Breakthrough Filmmaker and Audience Award was an exceptionally fond memory for King. The wonderful support and response we were getting from everyone was very humbling – and after we'd won our awards, there was an after party at the Tilted Kilt. When I walked in with my wife and Christina Rose (who played “Evey” in Joe Schermann Song), the whole pub full of filmmakers and friends cheered. There was a big celebration with people who shared in our happiness. Richard Botto (founder of Stage 32) even bought everyone there a round of drinks. I'll never forget that night. Inspired by many films and filmmakers, King feels that one of the filmmakers who has played a role in revolutionizing film is Steven Soderbergh. “I really enjoy his work,” King shared. “The thing about him is that he's able to make both artistic and commercial films -- often times blurring the lines.” Certainly no easy task. King, collaborating with his brother Michael, just finished filming his latest project – a horror/thriller feature guaranteed to fulfill his dream of scaring the crap out of audiences. UNNERVED, currently in postproduction, is scheduled to be completed this year.